Your title and initial lines should briefly and directly convey what you want to say. 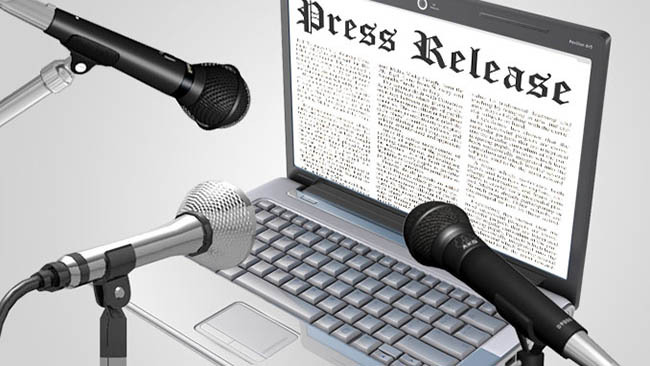 Include the “who, what, where, when and why” in the lead of your press release. The remaining part of your press release should include supporting facts and examples. Some media agencies and journalists will grab your press release and carry it in their publications with slight editing or no alteration. But even if it’s not used word for word, journalists may use it as fodder for other stories or to create their own story ideas. The more information and details you include, the less work the media has to do. Your press release should be able to keep the reader’s interest. Put yourself in the reader’s shoes. Would you want to read your press release? Try to point out real examples to support the message you want to communicate. Show why your information is important and how it benefits the reader. If your release isn’t newsworthy, don’t expect anyone to read it. Facts make your point stronger and tell the journalist you’ve already done much of the research for them. If you pull facts from other sources, make sure you attribute them. Avoid fluff and add-ons. And never make anything up. If content seems too good to be true, tone it down or you could hurt your credibility. The press release should conclude with a short description of your company, including where your company is based, what products and service it provides and a brief history If you are creating a press release for more than one company, provide information for all the companies at the end of the release. Also include contact information, both phone number and e-mail, for each company’s spokesperson. Avoid using superfluous adjectives, extravagant language, or unnecessary clichés. Get to the point and tell your story as directly as possible. Companies can be defensive about their name and image. Get written permission before including information or quotes from officials or associates of other companies/organizations. The use of exclamation points may hurt your credibility by creating unnecessary hype. However, if you have to use an exclamation point, use only one! Not several!!! The harder your press release is to understand for journalists and laymen, the less likely it is to be picked up. A limited use of industry terminology is ok, if you’re trying to optimize the news release for internet search engines. He is a freelance writer for http://www.1888PressRelease.com, the premier website to Submit Free Press Release for any announcements including launching of new product or services, new website, announcing new hires, sponsoring a special event or seminar and more. His articles can be found at http://www.1888articles.com/author-paul-wilson-7.html.